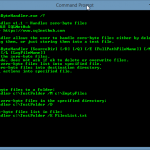 Our free Zero Byte Handler is a command line tool that allows the user to easily handle the problem of empty files (also known as zero-byte files). 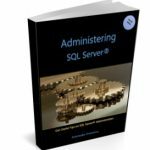 The tool provides several switches which the user can utilize in order to set up scripts for automated handling of scenarios where zero-byte files may be mistakenly generated and affect other automated processes. With simple command switches, you can handle zero-byte files. As Zero-Byte Handler is a command-line tool, it performs its operations very fast. Logs all actions into a file. 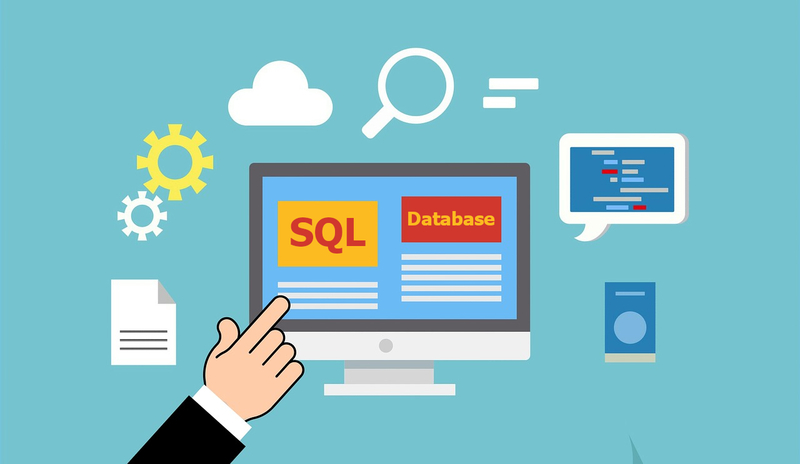 In enterprise IT environments we use integration and automation scripts for implementing complex data processes. One such automation can be the processing of files. Even though all automated processes should have exception handling, unfortunately, this is not always the case. 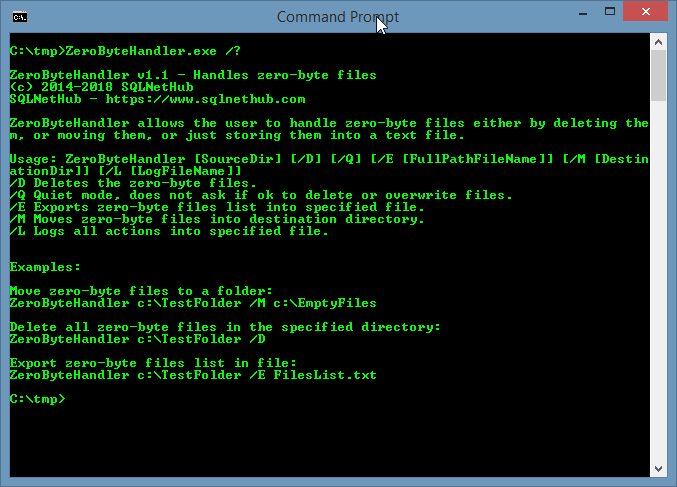 We ceated Zero Byte Handler command line tool, in order to help you with your automation scripts. The tool handles zero-byte files thus enabling you to easily set exception handling logic for such cases in your scripts. 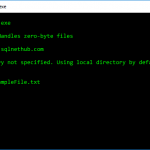 Zero-Byte Handler, is a free tool, offered with respect to the worldwide SQL Server community. * Zero-Byte Handler, up to version 1.0 was released under the brand name “SQLArtBits”.